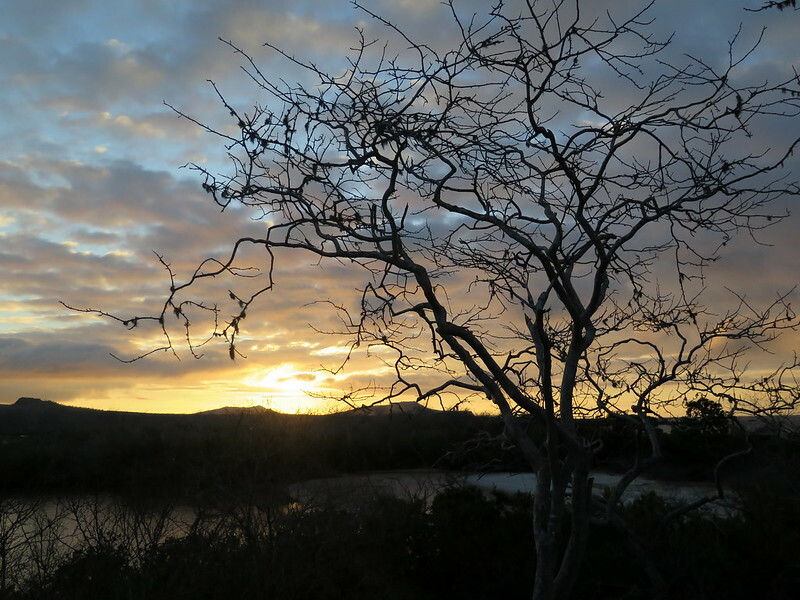 The Galápagos: a mythical faraway place that conjures up images of pristine beaches and exotic animals, from flitting Darwin’s finches to sunning sea lions. It’s the kind of place you dream of going to someday, maybe once you’ve gotten a more stable job or that raise at work or the time and money and stars align for that perfect anniversary getaway. After all, it’s expensive! This isn’t a place you just decide to visit next week. That’s how I thought of the Galápagos, even once I learned it was a short flight from Quito. I kept thinking that way when Stoytcho and I entertained the idea of going. We talked about it jokingly, and I told Stoytcho I was pretty sure it wasn’t possible on our budget. But when it became clear we wouldn’t have time to get to Torres del Paine in Chile (partly thanks to our oh so lovely, just-one-more-week stay in Colombia), we began to entertain the idea of visiting the Galápagos more seriously. Just how expensive would a trip out there be, though? 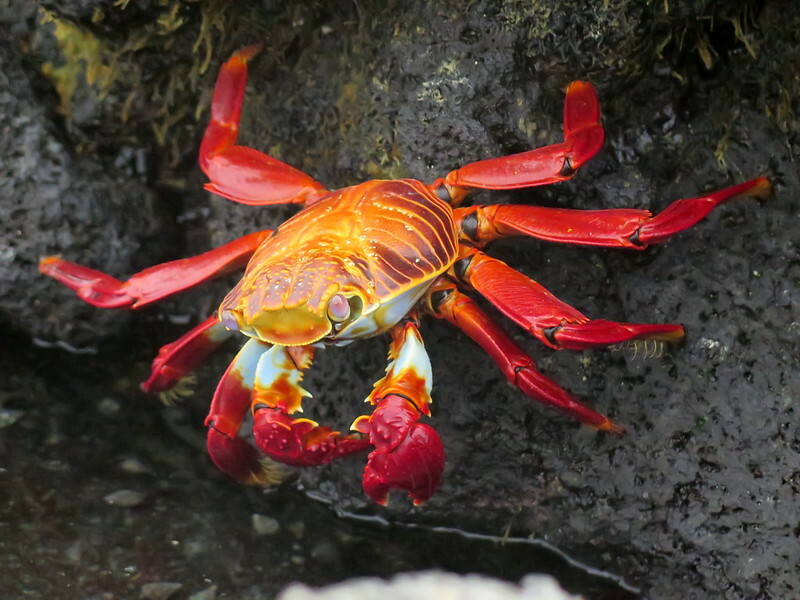 Google searches quickly turned up a host of websites touting last minute Galápagos cruises at “discounted prices”, but with even the cheapest at over $1,000 per person they still seemed pretty pricey. More worryingly, these cheap options were all on small boats with mixed reviews, attributable to two things: cramped living quarters and rough seas. At 6’4″, we were already struggling to cram Stoytcho into tons of places in South America that weren’t built for people his height, from buses to hostel beds. Spending several days hunched over in low ship corridors combined with potential seasickness would not a fun Galápagos journey make. The more comfortable options, the shiny, sleek, azure-sky-and-water luxury cruises still boasted price tags of around $3,000, far out of our price range. There were some TripAdvisor threads and blog posts that suggested we shop around in Quito or Guayaquil to get cheaper prices, but the thought of running around Quito to visit travel agencies between Christmas and New Year’s sounded awful. 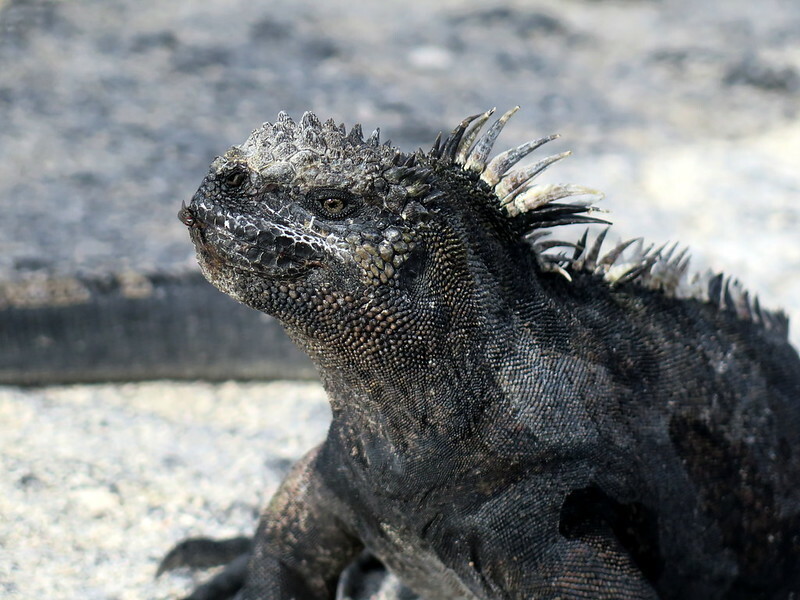 So we gave up on the thought of visiting the Galápagos for a while. When we arrived in Quito, our first visit was to the Basílica de Voto Nacional. 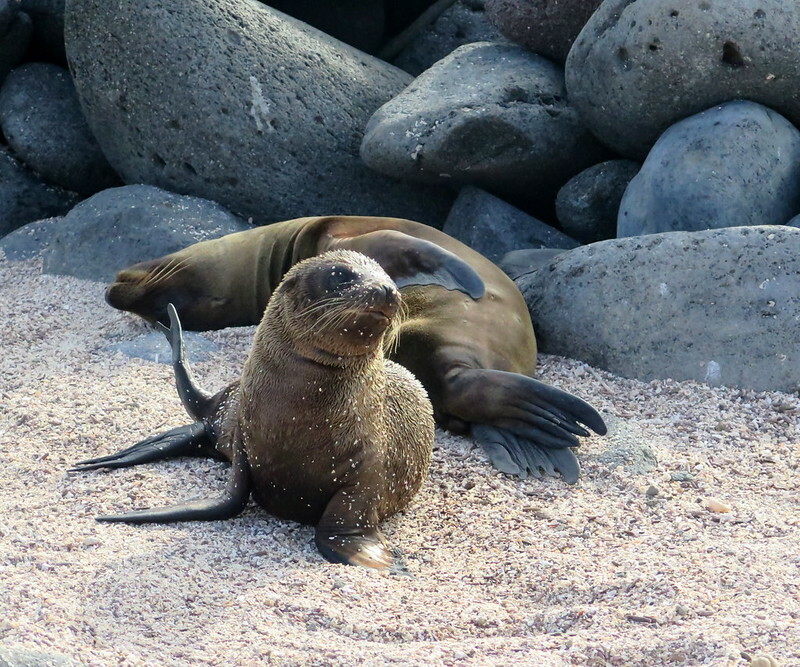 After visiting, we wandered down one of the streets heading south, meandering our way to El Panecillo, when we noticed a sign in a window proclaiming “Last Minute Galápagos Cruises”. Figuring we could just get a ballpark on what the cost for a last minute cruise was here, I grabbed the handle to the travel agency door and pulled it open. There are some times in life where you get things because you deserve them, and some times where you get things because maybe you deserved them but also you chanced to meet the right person at the exactly right time. This was a case of the latter. The travel agent behind the door was Gabby Segova (of Ecuador Family Tours), and she spent the time between December 26 and New Years’ Day working with us to book our dream cruise. She was a one-woman powerhouse, walking us through the prices and itineraries of all the available trips, negotiating prices with cruise companies, and finally booking the cruise. And the whole time, she was the most cheerfully delightful person to work with. In the end, we opted for the ultimate dream cruise–the Santa Cruz II, one of the highest-rated luxury cruises in the Galápagos. Complete with small-group guided tours, a Cordon Bleu-trained chef, two onboard hot tubs, roll stabilizers to protect against rough seas, and a library (no, REALLY), the Santa Cruz II was a dream come true. The original price was $4,500 per person. The last-minute cruise price online was $3,000 per person. And our price? $1,550 per person. That’s not to say this process was easy. It involved all of my negotiation skills, from persistence and playfulness to doing my detective work. We visited one other agency, to check their prices. We visited the cruise company and asked for their lowest price, just to make sure they couldn’t give us a better deal. We spent three days sweetly asking Gabby to hold out for a better deal from the original last-minute price of $1,750. That was three days of hoping they wouldn’t sell their last few spots, wondering if we were pushing our luck, wondering if it might fall through. And even with the discounted price, this was still 3 weeks of our estimated travel budget, devoured by a tour lasting less than a week. But now that we’ve done it, I can say it was definitely, DEFINITELY worth all of it. During this experience, I created a framework to help us identify our dream cruise. I’m sharing it below, along with some negotiation tips so if you’re dreaming of the Galápagos, you can make that dream a reality. 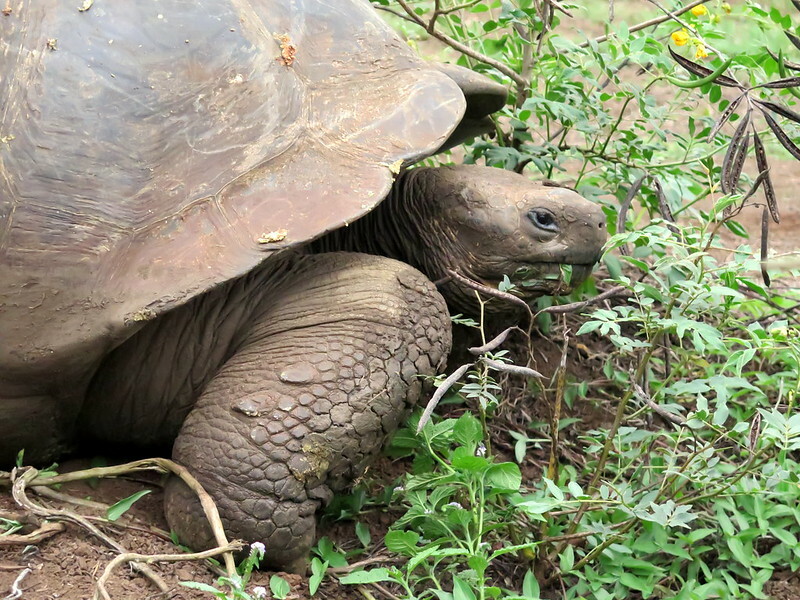 Why didn’t we just visit the Galápagos on our own? Excellent question. The Galápagos is a heavily protected national park and visiting without a tour severely limits what you can see. Overnight stays are permitted on only a couple of islands. 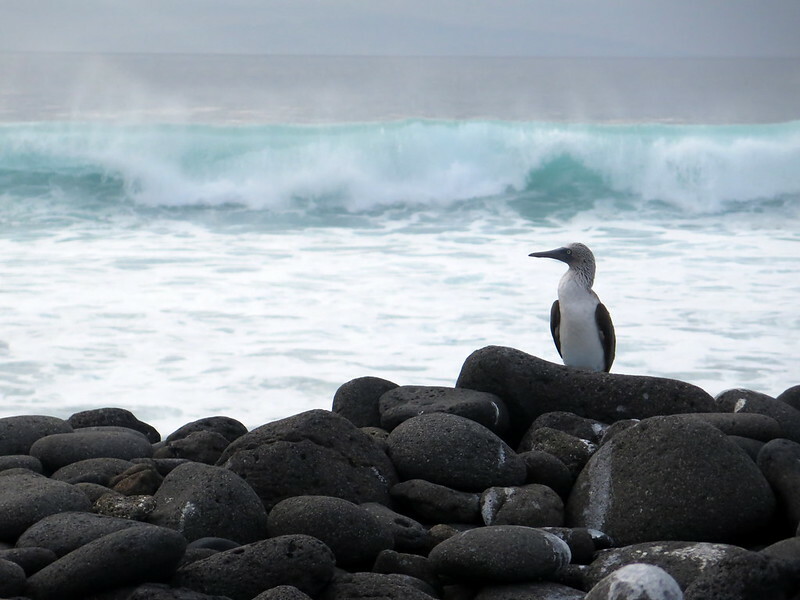 Similarly, day trips from the main town of Puerto Ayora visit only a subset of locations in the Galápagos. And in most locations, you’re not even allowed on land without a guide as a precaution to minimize tourist damage to the islands. If you visit the Galápagos on a cruise, especially one with a good itinerary, you’re able to see far more of the Galápagos than you would visiting on your own. Websites – The easiest place to look, but also the place with the least discount. 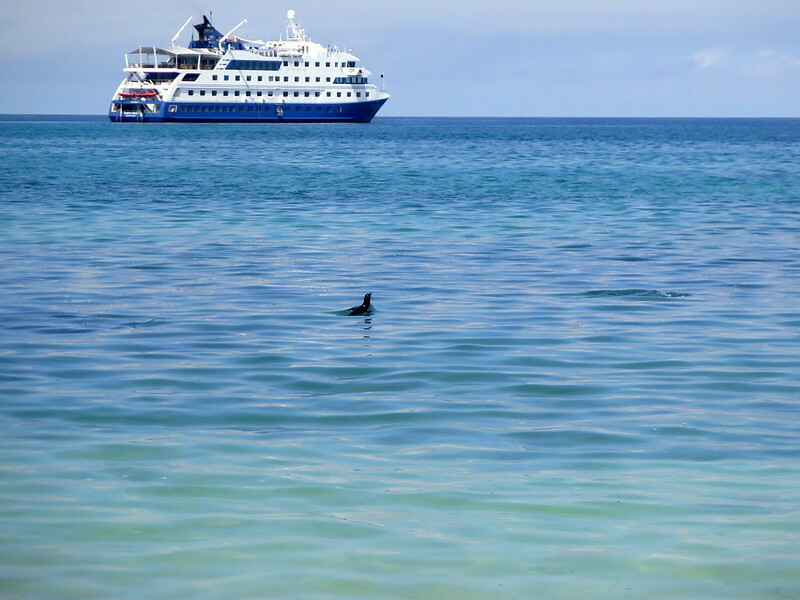 Googling “last minute Galápagos cruise” should return plenty of websites offering spots aboard cruises leaving in the next week or month. Quito/Guayaquil – Local tour agencies in both cities have information on last-minute cruises and their prices. I’m obviously biased toward Gabby, but work with whomever makes you feel the most comfident. Do make sure they know not only boat types and prices, but also the itineraries of the boats-this heavily influences your cruise experience. Puerto Ayora in the Galápagos – The last, last minute place to book a cruise. You can book from an agency (prices were discounted by ~$50-$100 compared to Quito) or by negotiating directly with a boat captain (does not work for luxury cruises). The tradeoff is that staying in Puerto Ayora is expensive compared to the mainland ($30 vs $17 per night for a room, $7 vs $4 per meal), so you risk spending quite a bit of money if you hang around negotiating too long. Itinerary – Decide what you want most out of your cruise. Do you want to do more snorkeling, or walking around on land? Do you really want to visit a certain island? Do you HAVE TO see the tiny, adorable Galápagos penguins? This is where a good tour agent really shines, as s/he will know cruise itineraries, which locations are worthwhile, and which locations you can visit on your own. Price – This is always a huge factor in deciding which cruise to take, but don’t be priced out by what’s listed on websites or first quoted by an agent. Take note of it and hold onto it for later. What it includes – Our cruise included everything except wetsuit rental and soft drinks/alcohol. Others might charge for the snorkel, or for all drinks beyond water, or for bringing your own alcohol. Be sure to ask your tour company what is and isn’t included in the price of your tour. Timing – Like any tourist destination, there are high seasons. These occur in the summer and during Christmas/New Year’s. Part of the reason we got a great deal was because we booked for just after New Year’s, when the number of customers steeply declines. Keep this in mind if you have flexibility in your travel time. Cruise type/ship type – Are you willing to rough it or do you want to be pampered? How much do you want to be pampered? There may be some variation in cruise type and ship size, but we found the following from our last-minute cruise information: budget (often small yachts and sailboats), mid-tier (larger yachts and small ships), and luxury cruises (the largest ships). Do your research – Nothing is a substitute for knowing your stuff. Go to websites, visit travel agents, and figure out what cruises are happening in the next few weeks. Write down the names of the cruises you’re interested in, when they depart, their itineraries, how many spots are left, and the price. Focus on itineraries that you would enjoy the most. Set your “dream price” and “satisfied price” – the dream price is what you would love to have, and satisfied price is what you’d settle for. For example, our dream price for in the above scenario was $1,500 per person, but we decided we’d settle if we could get below $1,600 per person. During this step, don’t be drawn in by anchoring of their previous prices. Set the price to what you would LOVE to pay, the price that would make you jump up and down and shout if you somehow got it. Shop around – It’s time to get down to business and get quotes from multiple places. Visit travel agents, contact the company running the cruise, and even talk to the captain of the boat if you can. Ask for your dream price. See what price they can give you. Use the difference between their quoted prices and your “settle” price to narrow down your list to one or two cruises to pursue. Be persistent and playful – Now that they’ve made your opening bid, it’s time to check in every day and see if they’re willing to lower it. This could get old really fast for the people you’re contacting, and it will if you’re adversarial or unfriendly. Instead, make it a game and be cheerful. Brighten their day and get to know them. And handle their refusal to lower the price with grace, something like “Darn! It was great talking to you anyway. I’ll try again tomorrow.” At best, these people will grow to like you, they’ll work to meet your requested price, and you’re more likely to get your dream cruise. At worst, you’ll have made several people happier. You have nothing to lose and everything to gain by being playful. P.S. We weren’t asked or paid to advertise any of the businesses in this article. We just loved our experience.